October: Year 12 Textiles and Design have added their major works for a short display before they take them home. These articles and portfolios have returned from external marking for the HSC. September: Term 3 comes to an end with a great display of creativity from the TAS Department! Year 11: Design and Technology recycle fallen timber from the adjoining property Taber park. It is Australian hardwood – mostly Eucalyptus. Year 11 Textiles and Design “Go Crazy” with patchwork and textile art techniques! September 2011: The Independent Primary School Heads of Australia (IPSHA) have organised a traveling Art Show of works from the schools in their association. Broughton has seven works on display along many from other schools. The Artshow will be in the IRC until 12 September when it will move on to another school. Our new lettering has arrived! 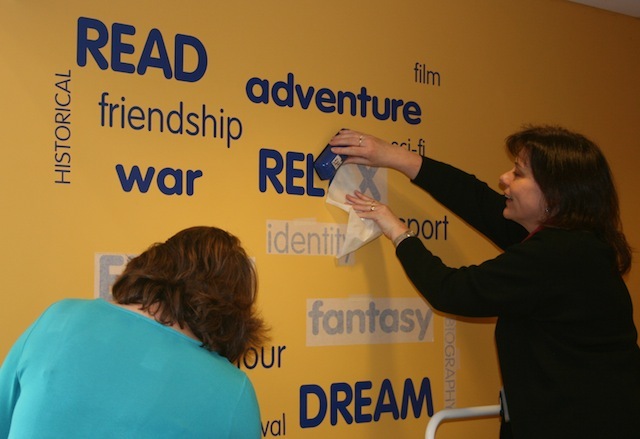 Check out the new word walls!